Indian Motorcycle innove encore en faisant évoluer son système d’infotainment : le Ride Command. 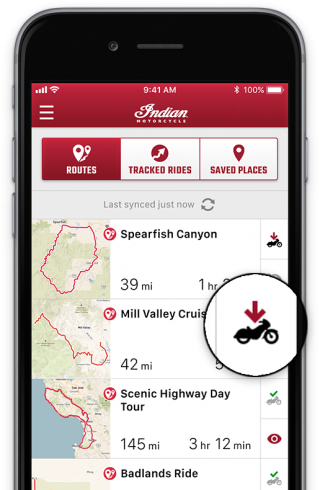 MINNEAPOLIS (December 6, 2018) – Indian Motorcycle, America’s first motorcycle company, continues to enhance its rider experience with the announcement of an all-new Ride Command mobile phone app and software update. Ride Command is the largest, fastest, most customisable system on two wheels, featuring an industry-leading, glove-compatible, seven-inch touchscreen. 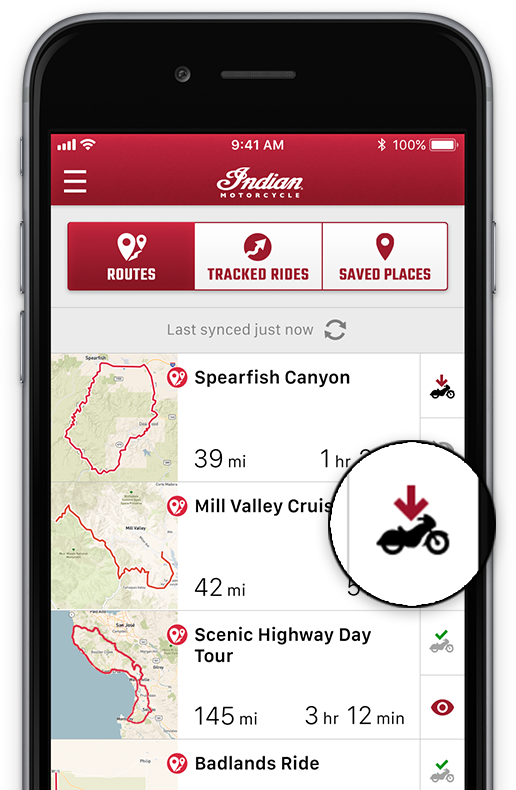 Its latest software updates allow riders to easily plan ride routes via a desktop platform, while an all-new Ride Command mobile app wirelessly transfers the directions to the bike’s navigation system and provides remote accessibility to key vehicle information. Owners can update their Ride Command by visiting a local dealership or by quickly downloading the software to a USB drive at RideCommand.IndianMotorcycle.com. The website also serves as the platform for riders to plan ride routes with up to 100 waypoints. 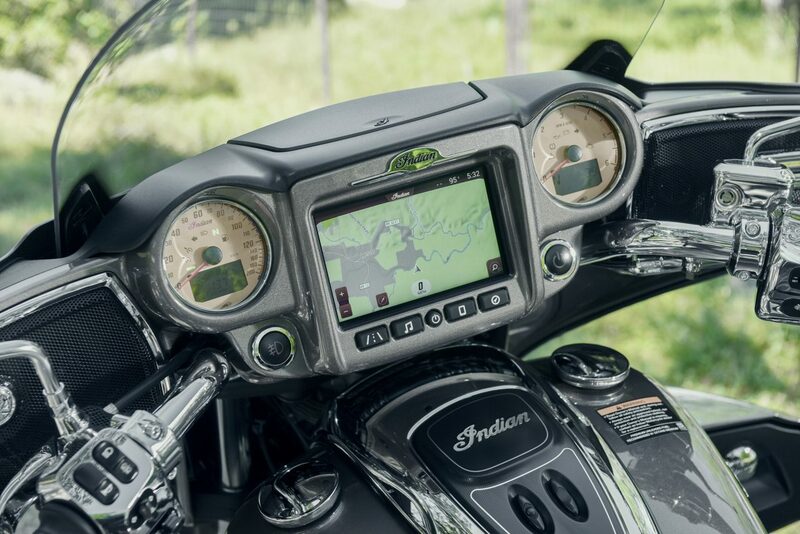 The point-by-point directions can then be wirelessly transferred to the bike using the Ride Command mobile app and a Bluetooth connection to the infotainment system. The pairing of these new technologies allows riders to view vehicle data, including fuel level, oil life, tire pressure & battery charge remotely on their mobile device. Riders can also track rides, view service recommendations and log maintenance within the mobile app. The Ride Command mobile app can be downloaded for free in the Apple Store and Google Play. 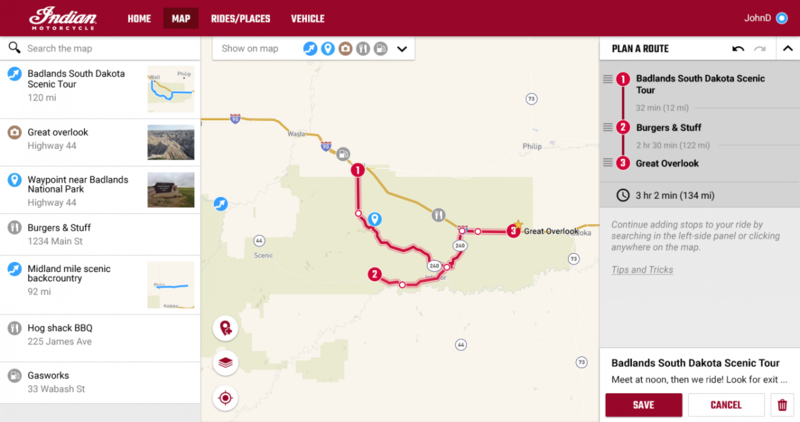 Riders can further update their Ride Command by downloading the free 2018 map updates at the Ride Command website or via a local dealer. 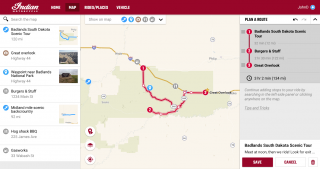 New Chieftain and Roadmaster owners receive three years of complementary map updates. 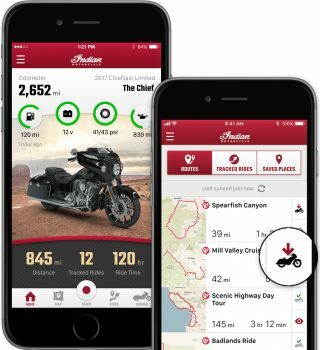 The new Ride Command updates further expand Indian Motorcycle’s ride-enhancing technologies announced earlier this year, as the 2019 Chieftain lineup and the 2019 Roadmaster are equipped with three selectable ride modes and rear cylinder deactivation for improved rider comfort when traveling at slower speeds. To learn more, visit RideCommand.IndianMotorcycle.com for a full list of features, download instructions and instructional videos.